Taken at the Churaumi Aquarium in the north end of Okinawa, this incredible facility is the second largest tank in the world, with Atlanta the largest. This shot was taken in a "bubble" area of the aquarium where you can look up at the creatures drifting by. 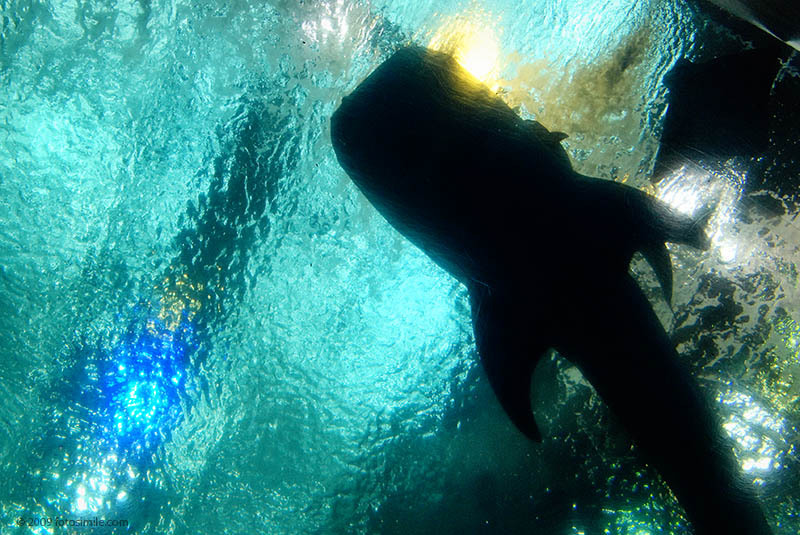 You can see here the outline of one of the aquarium's huge whale sharks. If you're ever on Okinawa, I highly recommend this modern facility as a sight to see. The presence here is almost frightening!